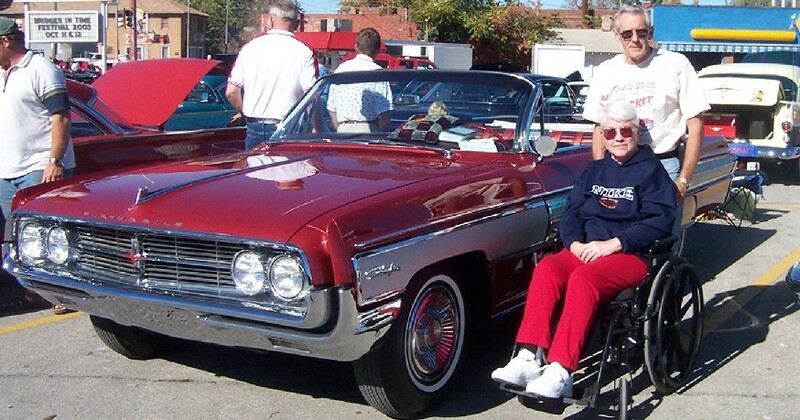 Ron and Trudy Harbin began a complete restoration process on their 1962 Olds Starfire Convertible about the same time that we started on our AMX three years ago. We completed our projects at about the same time. Perserverence paid off, resulting in this beautiful dream car. Ron and I worked together until his recent retirement. Larry and Pat Massengale have provided invaluable help, inspiration, and motivation to me in my AMX project, and also provided their shop facilites for the motor rebuild and installation. They own from left to right, a 1962 Golden Edition 2 door hard top Chevy with a 283, a 1969 Camaro with a 400 Big Block Chevy, and a 1941 Plymouth Coupe. The '41 currently has a 327 Chevy in it, but Larry has a "Hemi" that will eventually go in it. They also have other "in process" automotive projects. Pat owns and operates "Route 63 Auto Clean and Shine" just north of Montezuma, IA. 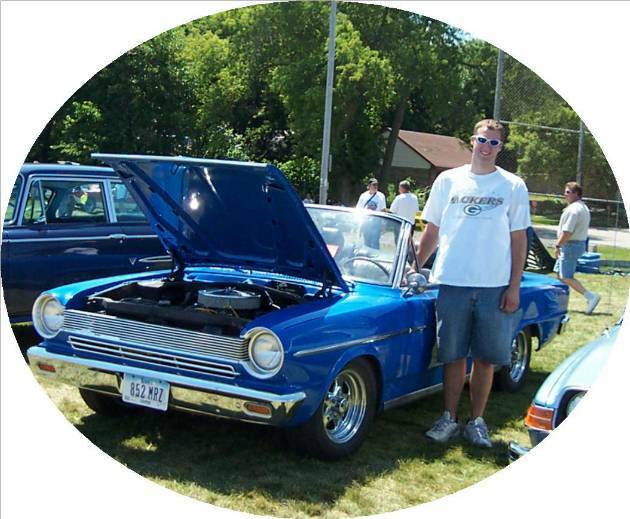 Scott Schwalls' sweet little 1964 American convertible has a 360 cid V8 AMX engine with a performer intake and carburetor, and will soon be changing to 4-speed transmission. He has had the car for 2 years and it had 48,000 actual miles when he got it. We met Scott at Kenosha, 2004 and he lives in Johnston, Iowa. Dennis and Debbie Erickson at Kenosha, WI 2004. Shown is their red, white and blue 1969 AMX, and to both of our surprise, almost exactly the same paint job. 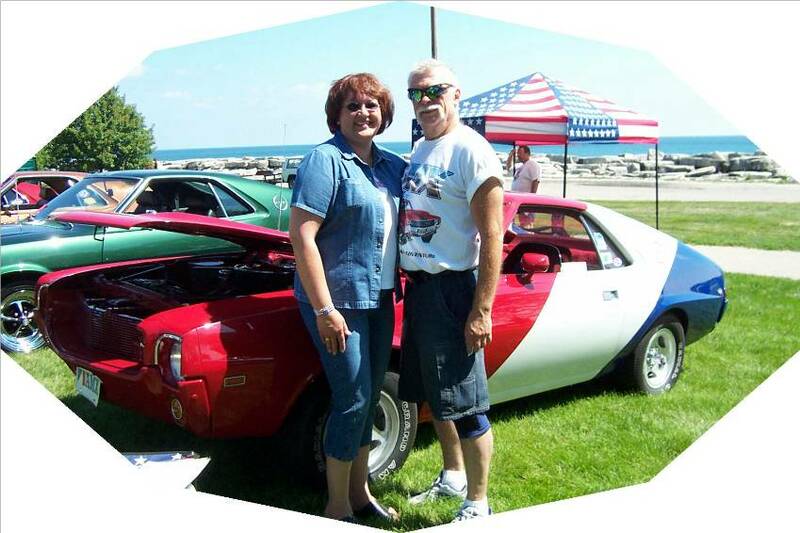 Dennis and Debbie are from the Twin Cities, Minnesota area and besides being super nice people, they enjoy taking their AMX to cruises and shows.